The Willows at Dakota Dunes is an active lifestyle community located in Eastern South Dakota. With just 67 townhomes, The Willows at Dakota Dunes is an intimate neighborhood where homeowners become fast friends. Residents have the prestigious Dakota Dunes golf course at their fingertips. This 18-hole, Arnold Palmer-designed course was named the best in the state by both Golf Digest and Golf Week. The Dakota Dunes Country Club is where homeowners gather for exercising or socializing with fellow members and neighbors. The Willows at Dakota Dunes is located just outside of Sioux City, Iowa in the master-planned community of Dakota Dunes. Just a few minutes from the community, residents can enjoy big-city attractions such as the Sioux City Symphony, concert halls, restaurants, and plenty of shopping. The Dakota Dunes Country Club is within walking distance from The Willows at Dakota Dunes. Residents can stay in great shape with the fitness center or relax with neighbors in the on-site restaurant or Palmer Lounge. Get new equipment before hitting the course with the golf pro shop within the clubhouse. Homeowners also have the 18-hole golf course that weaves throughout their community available for an additional fee. This award-winning course has 7,165 yards of fairways and greens that are accentuated by undulating hills and scenic lakes scattered throughout. Just outside the clubhouse, homeowners will find two pools, a patio, and outdoor bar for making the most out of the warmer months. Challenge a friend on one of the tennis or basketball courts. Walking and biking trails are available for scenic early morning jogs. The Willows at Dakota Dunes contains 67 low-maintenance townhomes available on a resale-only basis. These attached homes range in size from approximately 1,600 to 3,000 square feet and offer two to four bedrooms, three bathrooms, and an attached two or three-car garage. Some townhomes have crown molding, granite countertops, three-season porches, and first-floor master suites. Residents will also have more time to spend as they please thanks to the homeowners' association fee that covers lawn care, snow removal, outside maintenance, garbage removal, and water. The Willows at Dakota Dunes provides several ways to stay active physically and participate in social activities. Homeowners can take part in aerobics, basketball, or yoga to stay fit. Learn some new tricks with cooking demonstrations. Relax with new friends with happy hours, seasonal festivals, luncheons, or grab some popcorn and enjoy a movie in the park. From barbecues to putt putt, The Willows at Dakota Dunes will keep your calendar full. The Willows at Dakota Dunes is located within the master-planned community of Dakota Dunes. This 1,000-home community is just eight miles from Sioux City, Iowa and on the border with Nebraska. The Willows at Dakota Dunes is just a short drive from Sioux City Gateway Airport and is just off of Interstate 29, making travel a breeze. Downtown Sioux City has all of the attractions to please museum goers, sports enthusiasts, theater fans, and recreational participants alike. 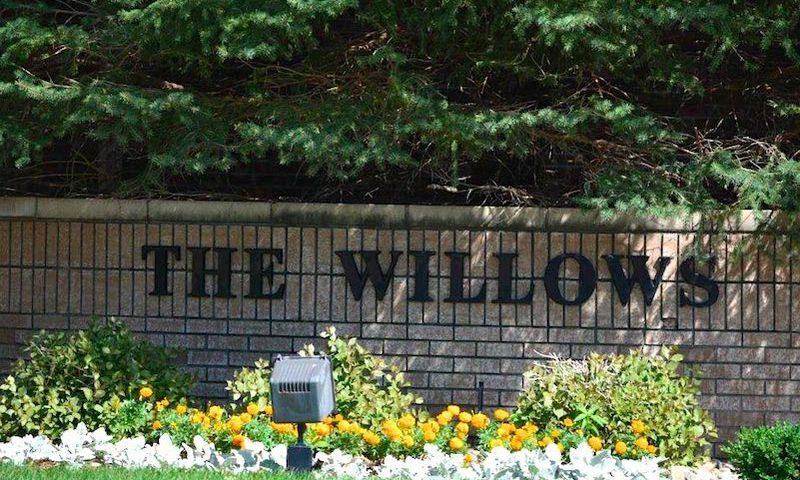 The Willows at Dakota Dunes is conveniently located just down the street from Faraway Grocery, Dunes Hospital, and several restaurants. Golfers will find more options just outside the community with Two Rivers Golf Club, Covington Links Golf Course, and Sioux City Country Club. The Willows at Dakota Dunes is the perfect golf course community for living an active lifestyle in the Sioux City area. There are plenty of activities available in The Willows at Dakota Dunes. Here is a sample of some of the clubs, activities and classes offered here. The Willows at Dakota Dunes contains 67 low-maintenance townhomes available on a resale-only basis. These homes range in size from approximately 1,600 to 3,000 square feet and offer two to four bedrooms, three bathrooms, and an attached two or three-car garage. Some townhomes have crown molding, granite countertops, three-season porches, and first-floor master suites. Please Note: Floor plans are not available at this time. 55places.com is not affiliated with the developer(s) or homeowners association of The Willows at Dakota Dunes. The information you submit is distributed to a 55places.com Partner Agent, who is a licensed real estate agent. The information regarding The Willows at Dakota Dunes has not been verified or approved by the developer or homeowners association. Please verify all information prior to purchasing. 55places.com is not responsible for any errors regarding the information displayed on this website.